With more than 26 years of experience, we offer a wide range of superior interior design services as well as the decoration of residential and commercial outfits in various communities throughout Florida. The fact that we keep up with the latest in this industry coupled with the creativity of our knowledgeable professionals has made us the leading Miami interior design firm. Are you thinking of changing your interior’s colors but don’t know where to start? 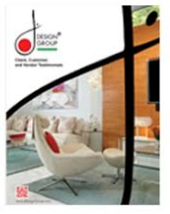 Our interior design firm Miami will advise you accordingly. Here’s what you need to know about the role of color in interior design. Color can break or make a space, so choosing the appropriate ones for your space is a vital facet of interior design. We also know that using the appropriate colors can enhance a well-planned space. Remember, you can’t use colors randomly when it comes to interior design. 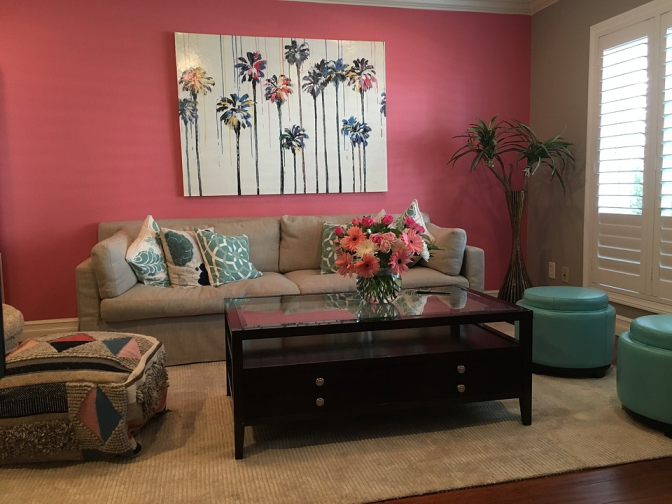 At first sight, you may think it’s easy to select colors for your living room, for instance, or for the entire home because you select what you love and what you’d like to have. In numerous instances, the outcomes are very good, but in most cases, if you know nothing about colors and the combinations that would look great for your home’s style, the outcomes might not have anything in common with a professional look. Fortunately, our interior design agency Miami has solid knowledge of colors besides knowing those that are appropriate for combinations and most of all, the psychological effects of different colors. Bear in mind that different colors generate various moods in your home by communicating different feelings, for instance, excitement or serenity. Our professionals understand the color theory in this industry, enabling us to produce just the appropriate mood you’re seeking. While incorporating color in your interior space, we must ask these three important questions. What is the Purpose of the Space for which you’re Choosing a Color? We can personalize the colors for residential interiors depending on your taste and choice. After all, we recognize that space’s function corresponds to colors based on your preferences, intended ambiance, atmosphere, and your desired emotions and mood. Who intends to use the space? Before we derive a color scheme for your interior space, we typically inquire about the use of that space. For instance, we must establish whether that space is for children, the elderly, or the youth. We know that color attracts young children more than shapes while bright colors are more appropriate for the elderly. Where is the location of your space? Color schemes may differ for spaces in bright and hot climate to dull and cold weather, in particular, social and cultural settings, and in different geographical and physical locations. This color has numerous aspects and connotations, but generally impresses feelings of clarity, calm, and order. It’s the ideal color for rooms where hard work takes place. In interior design, we use this color to produce an atmosphere of meditation and work. The color is known to lower heart rate and blood pressure, which is why it’s considered relaxing, calming, serene, and it’s frequently recommended for bathrooms and bedrooms. A high-energy shade of blue, such as sapphire, can add energy to a room, while a light shade on the walls can make your space feel tranquil. You can also use various shades of light blue for your ceilings to mimic the sky, making your room feel larger. To promote relaxation in social areas such as living or family rooms, we recommend warmer or bright blues. Although blue is associated with a calming effect when used as a room’s main color, opt for softer shades but avoid darker blues, which evoke feelings of sadness. Use this color to give your home an optimistic and bright air. Bear in mind that the effects of this color differ with its nuances. For instance, if you apply pale yellow on the ceiling or walls, you can bring some sunshine in your home. If you don’t wish to use it on the walls, you could use its psychological effects in different ways, for instance in flowers or accessories. This color is considered the most restful for our eyes. Merging the refreshing quality of blue and yellow’s cheerfulness, green suits virtually any room in the house. In the kitchen, it cools things down while in the living or family room, it promotes unwinding but has sufficient warmth to promote togetherness and comfort. You’ll discover the color has a calming effect as well when used as a main decorating color. Consider using this color’s psychological effects to produce a luxurious and costly environment to your space. If the shade is bluish, it can be calm and serene while giving an air of mystery. On the other hand, reddish shades draw more attention and dominate rooms. It’s also important to note that the color has a long reputation of power and royalty. The colors of your home’s rooms are a direct reflection of our personalities and while most of us might not spend considerable time thinking about color, it affects us daily. Furthermore, color can affect our thoughts and moods, so it’s prudent to seek expert advice from our Miami interior designer for the ideal effect.